A time travel mart, zoo picnic grounds, a sunken city, a necromance shop and a beautiful glass sculpture. 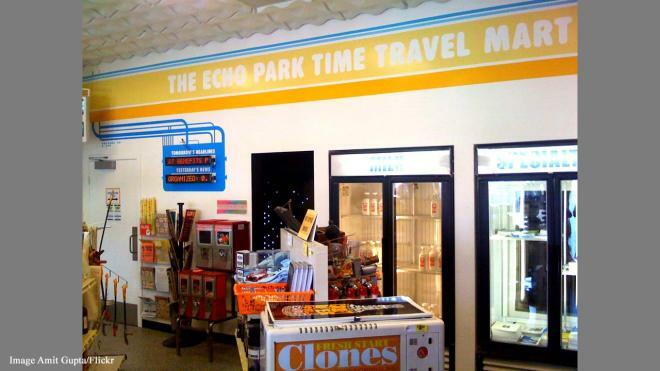 The non-profit time travel mart boats that “whenever you are, we’re already then.” Rather confusing, but the shop sells funny relics allegedly from the past, present and future, including Barbarian Repellant, Robot Emotions, a Clone machine and Michael Jordan pogs. If you’ve ever wondered what it is like to be on the other side in a zoo, here’s your chance. 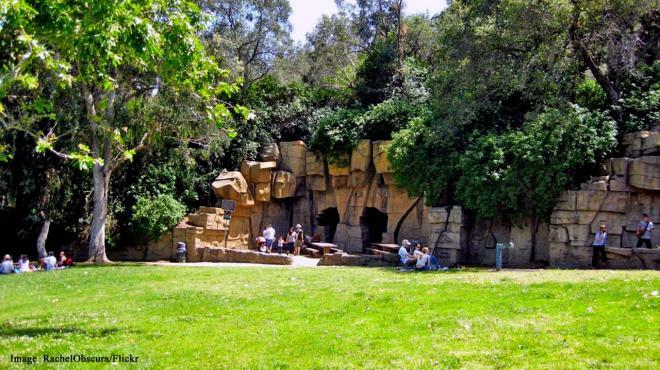 The old Los Angeles Zoo opened with 15 animals in 1912 and many of the enclosures had iron bars, as things were in those days. The old zoo was closed in 1966 when the new zoo was opened elsewhere. While some parts are ugly, picnic benches, tables and barbeque grills have been set up in the more attractive areas of the zoo.